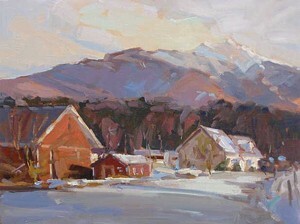 Connecticut-based artist David Lussier was trained as an illustrator, but he found his true passion when he began painting outdoors. And that love led to a new project, Painting New England: Preserving the Landscape, which the Stowe Land Trust introduced to Vermonters earlier this month. 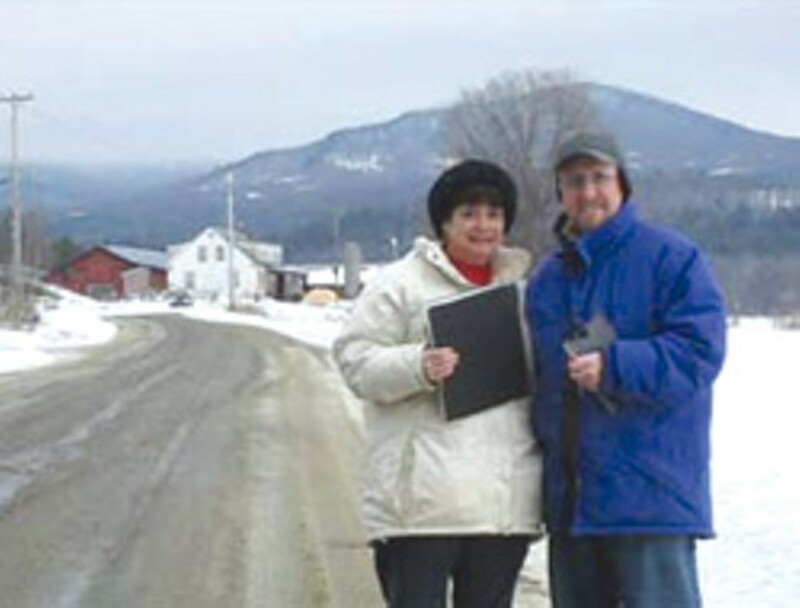 Over the next few years, Lussier and his wife, fellow plein-air artist Pamela Simpson Lussier, will travel to each of New England’s 67 counties, immerse themselves in the region’s landscapes and try to help conserve them in the process. The Lussiers are prolific painters who cite Emile Gruppe and Edgar Degas as artistic influences. Writer and longtime friend Gail Braccidiferro MacDonald will join them in their journey, writing about the places painted by the Lussiers. The partners hope to close the project with exhibits around the region and a book that joins images and text. The three hope to fund their multiyear project through individual, corporate and business sponsorships, and partnerships with local conservation groups. Earlier this month, they cohosted an art sale with the Stowe Land Trust to raise funds for both causes. Founded to preserve Mayo Farm in 1986, the land trust has become a beloved group in Stowe and conserved some 3200 acres. Certainly, most New Englanders would like to keep their natural landscape, and not just have paintings to remind them of what they lost.